Start your Holiday shopping now so you can actually relax during the Holidays ! 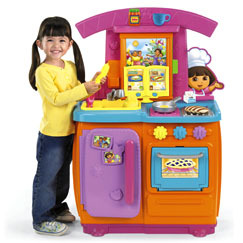 Right now and through tomorrow take an additional 20% the Sale section of Fisher Price. This makes for some really affordable toys !! Toys R Us has it listed for $29.98 !! Toys R Us has it listed for $59.98 !! *20% Offer: Valid 12:00 a.m. Central Standard Time 10/23/2013 through 11:59 p.m. Central Standard Time 10/31/2013 on in-stock items in Sale section only, excluding gift sets.